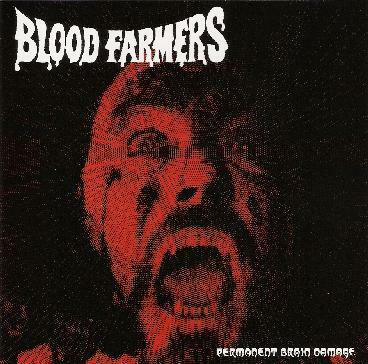 Blood Farmers - "Permanent Brain Damage"
If you like St. Vitus, Count Raven, Candlemass and with a bit of Blue Cheer and Hawkwind throw in, then you will totally dig these demo recordings of the Blood Farmers. These guys wrote some cool stuff with long punishing DOOM tracks that run 15 minutes at times (3 of the tracks here!). These are the original demos from 1991 and it's some totally awesome stuff with mind frying layered guitar solos and pounding riffs. The production is quite raw but it does not detract from the bands power. What can I say, this is really cool stuff. The band are now getting together again so look out for something new or some gigs or something in 2005! Email the Blood Farmers at: bloodfarmers@earthlink.net.